New Year's Eve Celebrations Happening in Boca Raton, FL. Some of our favorite local events to attend to ring in 2018! With New Year’s Eve just around the corner, it’s time to prepare to kiss 2017 goodbye and look forward to a fresh start to a New Year full of health, happiness, and opportunity. With plenty of food, drinks, dancing, resolutions, and celebratory champagne toasts, New Year’s Eve is one of the most highly anticipated and widely celebrated events of the entire year. If you haven't made your plans for ringing in 2018 yet, here is a list of some of our favorite New Year's Eve celebrations happening right here in Boca Raton, FL. Boca Resort: Rock the Block This New Year's Eve! Rock the Block returns to The Boca Raton Resort & Club for its 5th year in a row, with more amusements, live music, and excitement than ever before. Members and those lucky enough to be staying at the resort will ring in the New Year with a high-energy concert, featuring live musical performances by Salt n’ Pepa & DJ Spinderella, Wang Chung, and A Flock of Seagulls. Following these live performances, there will be a New Year’s countdown followed by a spectacular midnight fireworks display over the 18th fairway. The celebration begins at 8 pm, with musical performances starting at 10 pm. Basic ticket prices start at $150 for adults, $125 for teens (ages 13-17), and $75 for children (12 and under). There are several ticket options available, offering various food and beverage packages and access levels to this momentous celebratory event. If this sounds like the perfect way to step into 2018, be sure to hurry up and make your New Year's Eve arrangements at the Boca Raton Resort & Club. Mizner Park's Kapow Noodle Bar & Dubliner restaurants will be hosting a "no strings attached" New Year's Eve celebration with a variety of options available to accommodate everyone's plans. This event features a special New Year's Eve dinner, $45 open bar (optional), and live entertainment from a SPECIAL GUEST DJ! Seated dinner reservations are HIGHLY recommended (available only before 10 pm), with walk-up dinner reservations accepted all night. There is NO COVER CHARGE to get in, but pre-purchase open bar and "rock-star" package tickets are available for purchase through the Kapow Noodle Bar Reservations page. Open bar is from 9 pm-2 am, offering well drinks, house wine, and select draft beers. If you are looking to attend a laid-back, no-fuss party this New Year's Eve, come out and join your fellow revelers as they ring in the New Year at Kapow Noodle Bar and the Dubliner in Mizner Park. Funky Buddha will be hosting one of the funkiest New Year's Eve celebrations around, featuring live musical performances by five awesome local bands, lots of craft beer including a midnight New Year's craft beer toast, complimentary late-night breakfast, as well as a few additional undisclosed New Year's Eve surprises! Live bands will include Fireside Prophets, Del Pelson, Monty, Toledo, and Red Light Motel. Doors open at 7 pm and the show starts at 8 pm. $7 pre-sale tickets are available for purchase, with $10 tickets available on the day of the event. This celebration is sure to bring the funk as you ring in the New Year! Blue Martini Boca Raton Roaring 20's New Year's Eve! Blue Martini Boca Raton will host a Roaring 20's New Year's Eve celebration on Sunday, December 31st, 2017. Doors open at 8 pm and the party will surge on until 2 am. Featuring premium open bar and Hors d'oeuvres from 8-10 pm, New Year's countdown with a champagne toast, and live music all night long! Elegant attire, table reservations, and advance ticket purchase are strongly encouraged. General admission tickets cost $60 and can be purchased directly through the Blue Martini NYE Event page. Swing into 2018 in style this New Year's Eve at the Blue Martini. Now that you know some of the hottest New Year's Eve events happening in Boca Raton, there is no reason to miss out on the celebration. 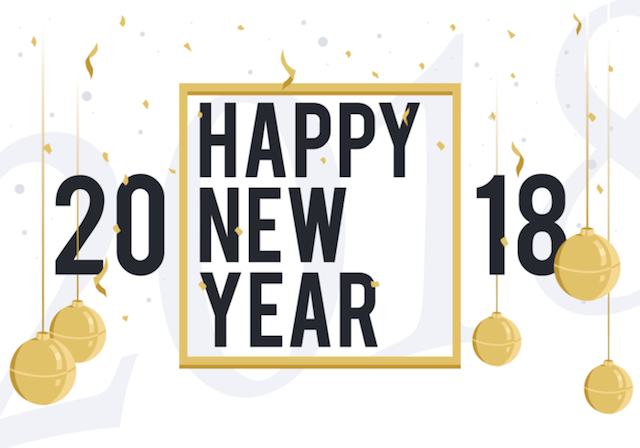 However you choose to ring in the New Year, we at Champagne & Parisi Real Estate hope you have a safe and exciting New Year's Eve and wish you much joy and prosperity in 2018!